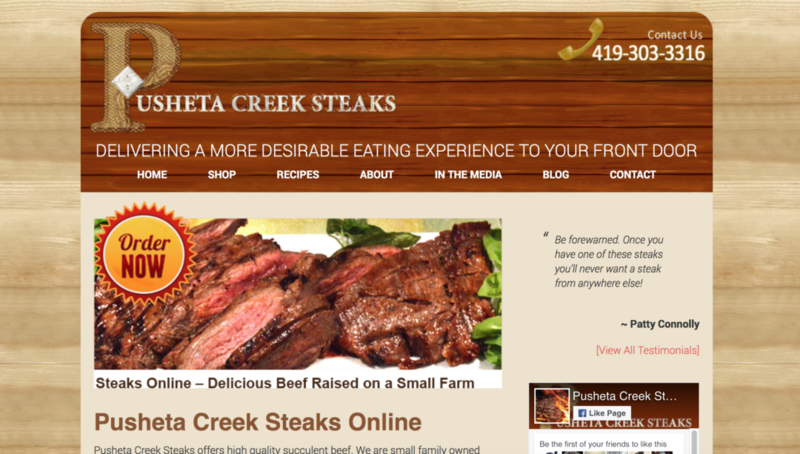 We help Pusheta Creek Steaks with their ecommerce and marketing. They raise cattle and offer organic and healthy beef both locally and online. All of their cattle is naturally raised, antibiotic and hormone free – which is a huge plus for lots of health conscious meat eaters everywhere. Webcore didn’t do the design; we helped to enhance the way the store works, flesh out the blog and content a bit, and help improve marketing efforts.